This is where I promote my books. My interests in writing are varied, so my books, too, are varied in subject and content. I hope you enjoy my writing. I have enjoyed writing it for you and making it available. – First ebook in the #ChroniclesofUrthe series. Load to your Kindle Reader today. Wordspinner tells the story of elves, magic, and man. Wordspinner takes place in the world of Urthe. Urthe is a fantasy world of heroes, magic, and adventure created by the imagination of Dave “Doc” Rogers. The Chronicles of Urthe are stories set in this world and all the adventures that take place there. Come inside and learn of land in the Chronicles of Urthe. Now available at Amazon Kindle: click here! – First ebook in the #LightbearersFolly series. Load to your Kindle Reader today. Lucifer, the Lightbearer, the Anointed Cherub who Covered, was the most beautiful of angels and led the Heavenly Host in praise … until pride was found in him. This story chronicles his rise, fall, and destruction. – A series of photographs and thoughts from my time in the South Carolina Lowcountry. Enjoy. A link to Kindle: click here! Now available at Amazon: click here! Ask your local bookstore or retail book outlet to carry it. 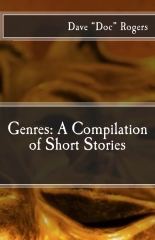 – A collection of short stories from Dave “Doc” Rogers where the reader is drawn into a cinema for the mind. Each story is different. Each adventure has its own world. Each moment pulls the reader into the story. If only for the moment, you, the reader, are in another time, another place, another waking dream. A link to my publisher, click here! Ask your church bookstore or retail bookstore to carry it. – This study guide is a good start on a journey of discovery and education about what it is you should know as a Christian believer. Use this guide for personal growth, for home group study, or for class at your local church. In any way you begin your quest to know more and understand more of the Bible, who God is, what it is every Christian should know and believe, just start. 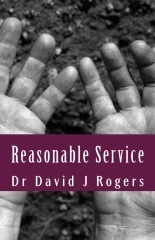 – Reasonable Service takes a look at what should be our expectation of service in our Christian life. What should we expect and how can we be equipped for this service. Reasonable Service answers questions regarding who we are, what we can do, and what we should do has the Church and as children of God. 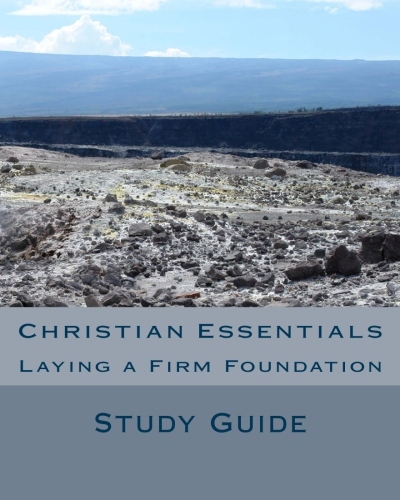 – This study guide is a good start as you embark on a journey of discovery and education about what it is you should know as a Christian believer. Use this guide for personal growth or as part of a classroom or a Sunday School setting with your local church. In any way you begin your quest to know more and understand more of the Bible, who God is, what it is every Christian should know and believe, just start. – Writing is cinema for the mind. A well crafted scene or turn of phrase can carry the reader to another place, time, or reality. Poetry is a little vignette, a glimpse into other places and times; if only for a moment. This is my second book, and first book of poetry published. I hope you enjoy them. Now available at Amazon and Barnes & Nobles. Ask your college bookstore or retail bookstore to carry it. – A look at grace as a gift from God through Jesus Christ. The grace of the Lord Jesus Christ is the starting place for a relationship with the God of the Judeo-Christian Bible. If it was not for the acts of Jesus’ love and kindness to us, we could have no relationship with God at all. Grace starts with him. 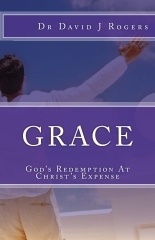 Grace is God’s redemption at Christ’s expense. This is my first completed book. My thanks and gratitude go to those who have been encouragers and supporters of me and my writing. Ask your local bookstore or neighborhood Christian retail store to carry it.